There are several aspects of the WordPress optimisation we’re going to go through each of the steps one by one. Caching by itself can speed up your website loading time with 80 or more percent. Another plug-in that could get the job done is W3 Total Cache. If you have additional caching software like memcached installed on your web server you will be able to gain even more from this solution. Memcache works by storing your caching data into the computer memory. We are one of the few providers that offer this solution to our shared hosting customers. The 2nd in very important part is to compress your images. A good plugin for that is WP smush it. This plug-in will go through all of the metadata in the database and look for images. It will then find them and compress them into smaller versions without losing quality. The Third part is where we are going to get rid of version numbers of static content. There is a plugin for this and we’re going to use this link to get it. This plugin requires only installation and activation no additional configuration is necessary. 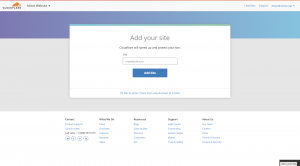 In this section we’re going to demonstrate how to enable cloudflare for your website. Once you register at cloudflare you will be able to get the name servers that will be used for your website and set them for your domain. Once you did this your domain will be transferred for dns hosting at cloudflare. It will detect automatically the major and most popular DNS records available so it will prevent any downtime for your website. Cloudflare works not only as a caching system but also has content delivery network. This gives incredible performance boost to all websites that are using it. Not only that but when you are using cloudflare the people on the internet cannot see your real IP address. From there the attackers will not be able to figure out which address to attack and you will be protected behind cloudflare firewall. 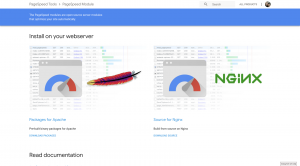 Additional step you can take is to ensure that your web server has mod pagespeed enabled. This module by Google allows the browser to render the page and adds attributes to satic content like images so devices cqn render properly layout of the page. On our managed services at SSDShared.com you can get all of this sorted out just by signing up for our hosting service. If you decide to host with us, we can offer a completely pre-made package with maximum gtmetrix score and settings so you can directly start loading your products and start selling.